2 year parts and labour warranty. Next day spares service available. 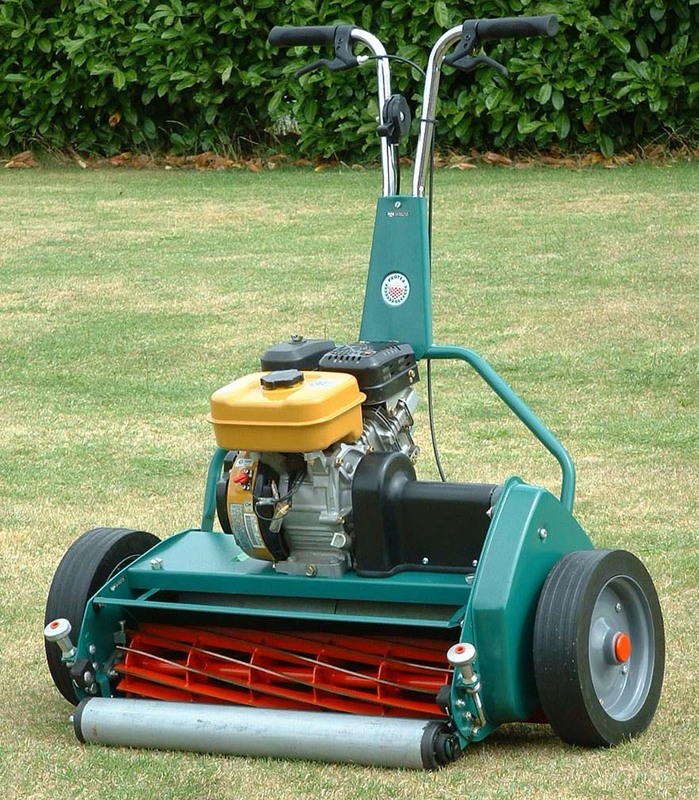 The GREENSMOWER “G” and “SI” models are simplified versions of the Golf range and will suit those applications where a very high quality cut is required but a dual-drive system is unnecessary. The GREENSMOWER range includes the 12-blade “G” models and 6- or 9-blade “SI” models in 20-inch and 25-inch cutting widths. All are fitted with the very best Subaru Robin EX13 4.5hp engines and share the same easy handling characteristics and open-frame design for easy maintenance and cleaning. “G” models are 12-bladed and designed specifically for fine turf applications, offering the same cutting performance as the Golf mower and featuring a low-cut bottom blade, nylon filament brush strip, adjustable smooth steel rear rollers and removable rear roller scraper. Height of cut is accurately adjusted by dual continuously variable handwheels and a setting gauge is supplied as standard. “SI” models are identical to the “G” models with the following exceptions; height of cut is adjusted by a simpler single handwheel, the rear rollers are rubberised for increased grip and durability and a thicker bottom blade is fitted as standard. The brush strip is omitted from this model. 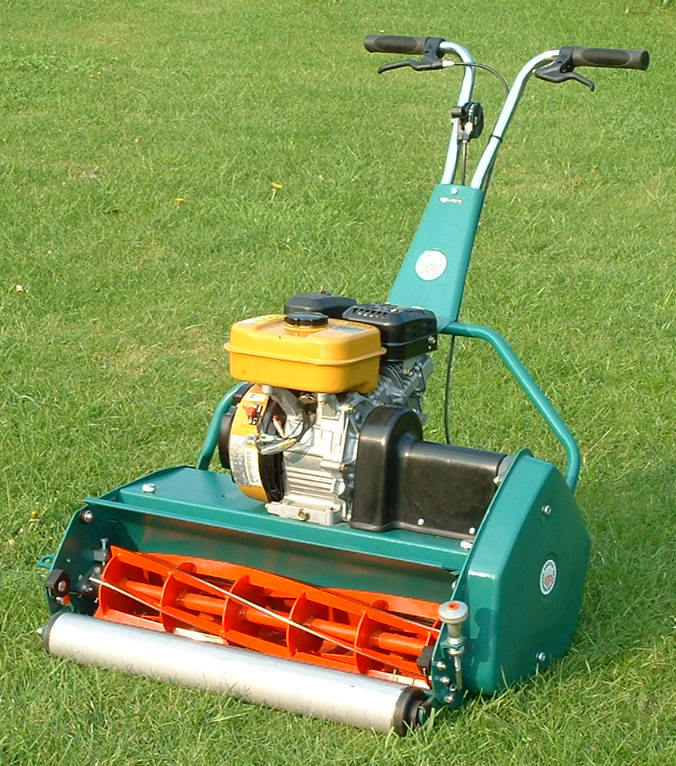 Optional equipment for the Greensmowers include a Wiehle (grooved) front roller (pictured) which minimises turf flattening and resists soil pickup. The short wheelbase follows contours accurately, reducing the risk of scalping or bridging. A wheeled transport cradle is also available to aid manoeuvrability and protect the undercarriage from possible damage (see illustration in Groomer/Dethatcher section). Protea have managed to combine excellent engineering quality with good balance, ideal weight and convenience in operation. Electrical interlocks allow the grassbox to be emptied without stopping the engine. The drive clutch can be operated with light pressure on the lever and allows “inching” in tight turns. Customer feedback and cutting trials have repeatedly shown that these machines perform as well as, or better than, all competing brands in the professional market. Customer support includes a comprehensive two-year parts and labour warranty, next-day spares service and telephone technical assistance. 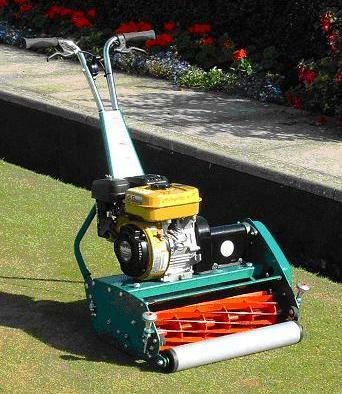 For all applications where the single-drive Greensmowers and dual-drive Golf mowers are suitable, users should also consider the Dedicated Groomer/Dethatcher machine described in this brochure. Engine Subaru Robin model EX13 single-cylinder air-cooled 4-stroke overhead camshaft petrol. Displacement 126 cc. Maximum horsepower 4.5 @ 4,000 rpm. Recoil starter. Clutch Centrifugal clutch to cylinder and plate clutch to landroll drive. Drive systems Roller chain drive. Cutting reel: 152mm diameter spiral. Bottom blade Hardened steel knife, precision ground to 2mm thickness on G models. Front roller One-piece steel roller with precision adjustment for cutting height. Wheeled transport cradle, Wiehle front roller. Have a question about this greensmower?